Beginnings of a new religion founded by John Wesley. Stressed emotion and heartfelt religion over rationalism. Historical philosopher. Developed theory of thesis, antithesis, and synthesis. Book by Kant. 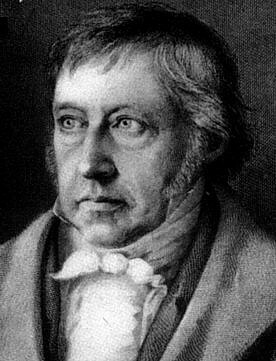 Kant believed that the sphere of reality through pure reason was limited. Haiti's revolt against France. First successful colonial assault from Latin America. Poetry by Wordsworth and Coleridge. Rejected rules of 18th century criticism. The Consulate ended the revolution in France. Novel by Schlegel. Attacked prejudices against women. Truce between France and England. Would not last due to Napoleon's ambitions. British response to Napoleon's developments on the continent. 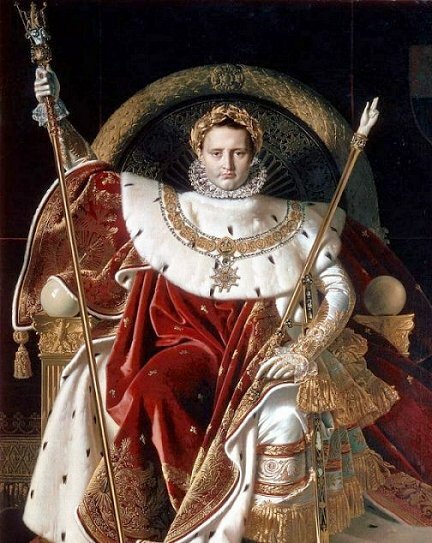 In the aftermath of the French Revolution, Napoleon rose to power in France and established an empire of his sole rule. Naval battle where Great Britain demolished the combined Spanish and French naval fleet without losing a single ship. However, Lord Nelson (GB) died in this battle. Napoleon defeated combined Austrian and Russian forces. Napoleon now recognized as king of Italy. Reforms in response to Napoleon. Junker monopoly broken, serfdom abolished. Napoleon forbade importing of English goods across the continent in an attempt to wage economic warfare against Great Britain. This was not successful. Further attempts from Napoleon at stopping Continental trade with Great Britain. Treaty that resulted in Napoleon gaining half of Prussia's territory. Prussia openly and Russia secretly allied with Napoleon. Dramatic poem published by Goethe in two parts. Dives in to emotion and religion. Napoleon invaded Spain in hopes of further enforcing the Continental System. Due to peasant loyalty and Guerrilla warfare, Napoleon lost in his efforts. Austria renewed efforts to fight France. At the Battle of Wagram, Napoleon won again, and took even more land from Austria. New Spain fought and gained independence. New Spain fought together under conservative values. Russia broke away from alliance with France. Precursor to war between France and Russia. Napoleon invaded Russia with a large army. Due to Russia's Scorched Earth policy and the harsh winter, Napoleon was forced to retreat, and over the course of the invasion lost 500,000 of his 600,000 men. Law established in England to keep the price on grain stagnant. England was officially going with the aristocratic conservatives for now. Napoleon returns from his exile. The French people still rally behind him, and Napoleon holds his return until the battle of Waterloo. Reformation of the Quadruple Alliance. Its purpose was to keep the peace in Europe. Play by Lord Byron. Dove in to emotion as well as nature's beauty and cruelty. Issued by Metternich to restrict the right to assemble. Dissolved the Burschenschaften. 11 people killed in England in a protest against the Corn Law. Showed how far the aristocracy was willing to go to keep conservative values. Series of laws passed by England. Forbade large public meetings, raised fines for libel, sped up trials of political agitators, increased newspaper taxes, prohibited training of armed groups, allowed local officials to search homes. Liberal revolution in Spain. Resulted in Protocol of Troppau. Congress that created principal of intervention. Peru liberated by San Martin. San Martin was a fighting force across several countries in Latin America. Revolution in Greece for independence from Ottoman Empire. Revealed that Europe wanted to help Christians more than they wanted to suppress nationalism. Quito liberated by combined forces of San Martin and Bolivar. Revealed conflict of opinion between Martin and Bolivar on politics. King of France after Louis XVIII. Tried to establish absolute monarchy once again. Tsar Alexander died unexpectedly. Led to Nicholas I assuming the position of Tsar. Military officers refused to take oath to Nicholas I, demanded a constitution and the abolition of serfdom. Act passed in Great Britain that allowed Catholics to be elected in to parliament. Calmed Ireland and stopped the occurrence of a revolution in Great Britain. King of France after Charles X. Much more liberal, but no sympathy for lower classes. Ottomans officially grant Serbia independence. Another successful revolution. Charles X goes in to exile. Result of the July Revolution, a response to Charles X's reactionary policies. Revolt in Poland suppressed by Russia. Russia now had an official image of suppression. Belgium gains independence. Revolt fueled by revolution in France. Bill passed in Great Britain that extended the right to vote to many more middle class men. Sign of liberal reform in Great Britain. Famous example of romanticism. Building was designed in the neo-gothic style. New castle built on a mountain in Southern Germany. Most incredible neo-gothic structure of nineteenth century.